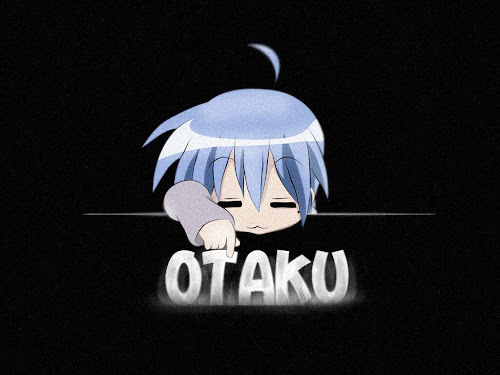 World War 2 themed anime is always entertaining to watch. 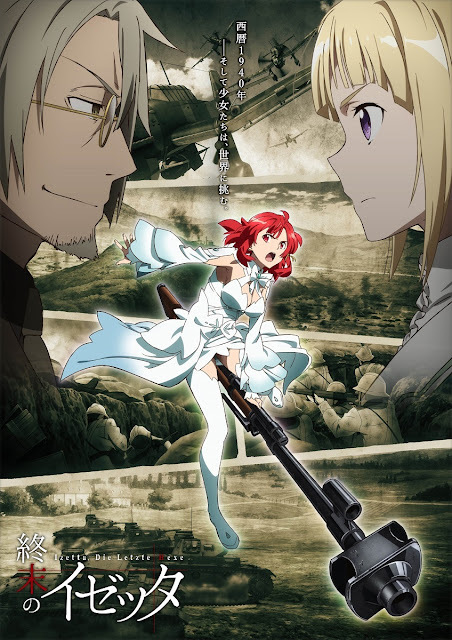 Shuumatsu no Izetta however brings some unique addition to the whole historical war theme; by adding elements of magic. 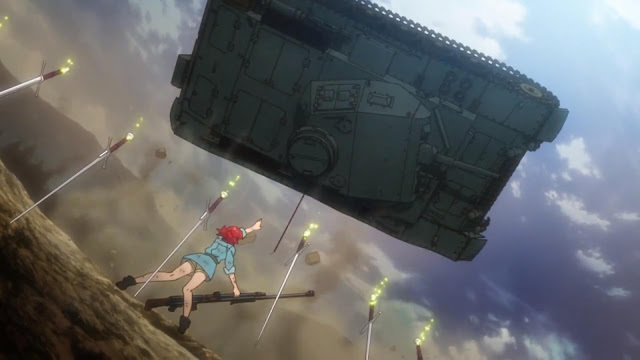 It is actually rather cool to see a witch riding a huge tank-busting rifle instead of your typical broom into battle. This anime deliver good, enjoyable story till the end, but there are so many wasted potential that prevented it from being a true masterpiece. Riding a gun this time, because why not. Advantage of gun over a broom: Can shoot stuff. The plot of Shuumatsu no Izetta is a linear one. A princess befriended a powerful witch that could help defend her home country in the midst of war. Imagine the German invading Austria during world war 2, but with a twist. Everything seems to be fine, till right in the middle where there are some obstacles and conflicts that makes it much more interesting. Death and sacrifice is a concurrent theme, and the anime doesn't shy itself for letting several key characters dies. The anime ended in a rather strong and satisfying end, albeit rushed. My biggest complain about the anime is how its should split into 2 cours instead. Character development focused heavily on the two main characters and seems to ignore the other. This is a huge flaw since some of the side characters had a some important roles yet the viewers understanding of their past and motivation is almost null. It had so much potential but alas, everything had to be crammed inside a single cour. The yuri is strong in this anime. 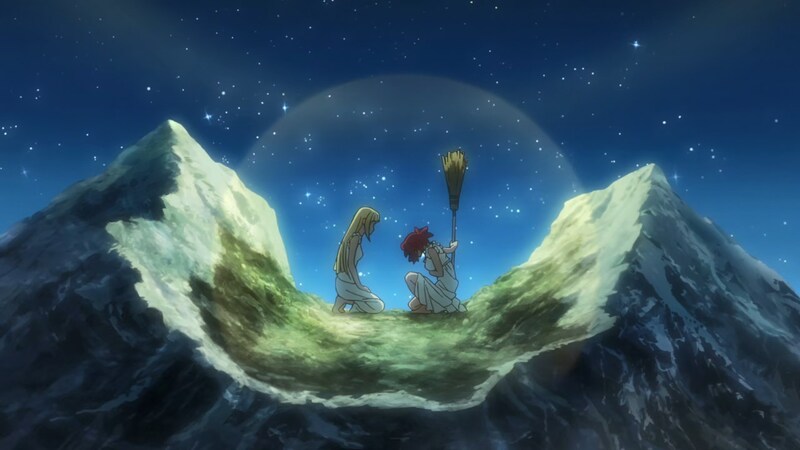 The two main characters that mostly took the spotlight are Princess Fine and Izetta. Princess Fine is your ideal image of a ruler, loved by the people and have a strong sense of responsibility to rule and defend the country well. 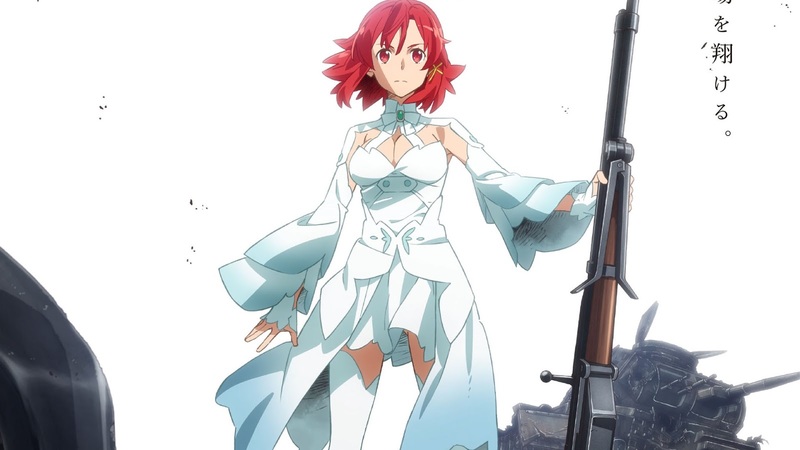 Izetta meanwhile is a rather powerful witch that complement with Fine in a sense that she also want to make sure Fine become a great ruler, giving her unyielding trust and power. There are no obvious romance that could be elaborated, but the friendship between those two is definitely stepping the boundary of Yuri; not that it is a bad thing. Most of the other characters like had been said before, is less noteworthy; either because their backstory is not elaborated as much or mostly just used as a plot device to move the story itself. The art and animation are decent for the most part. The action scenes were executed really well, with smooth and fluid animation. The portrayal of alternate Europe during the World War 2 era is also very detailed; from uniform, to weapons and vehicles. Tanks, airplanes and ship are modelled using CGI, which is really common nowadays, but you can tell that the animators did their job perfectly considered how accurate most of the details are. There are little animation issues; while not the best this season to offer it is still a job well done from the studio. Sound is also decent enough. 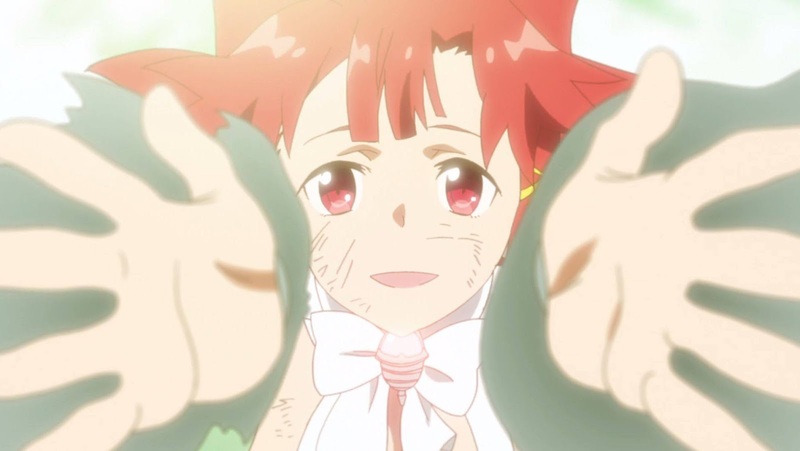 The OP gets the viewer pumped up while the ED leaves a melancholic feel as each episode end. The ending is rather bittersweet so to speak. Shuumatsu no Izetta is one of my top anime this season; which is saying something since this season overall is rather mediocre. It is good and enjoyable to watch, yet it had so much potential that could be exploited if the anime was mad longer instead. While not perfect, it does it job alright.